Cooking fires are all too common. With some useful tips we can all practice some cooking safety. Courtesy of the NFPA. 1. 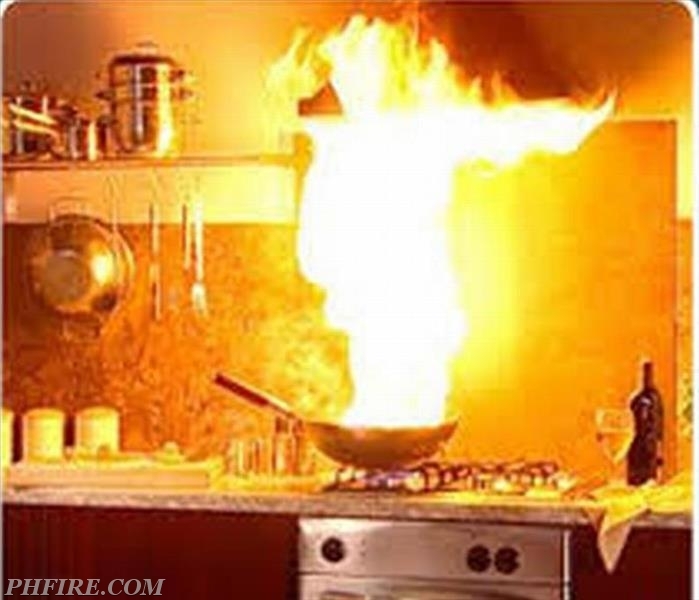 Stay in the kitchen when frying food or cooking with oil or grease. 2. Never cook when you are tired. 3. To put out a pan fire, slide a lid over the pan. Turn off the stove and let the pan cool. 4. If you have a fire and it does not go out, get out of the home and call the fire department. 5. Keep things that can burn away from the stove. 6. Keep kids at least three feet from the stove.